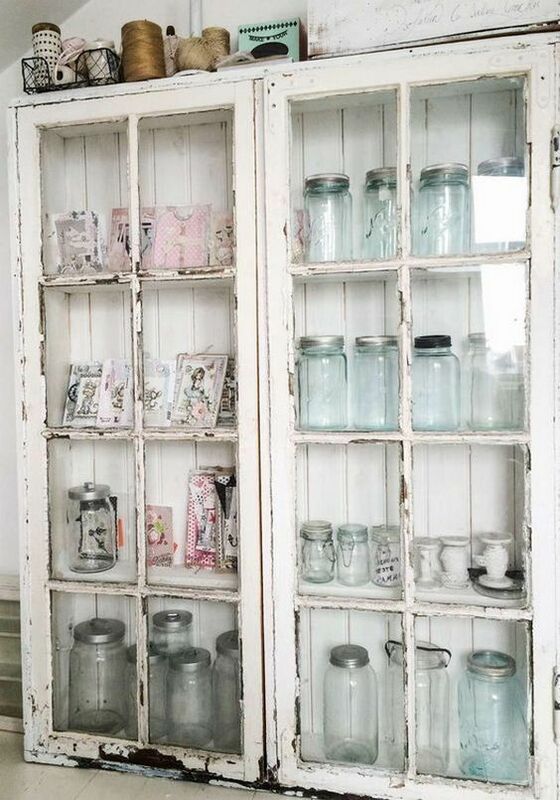 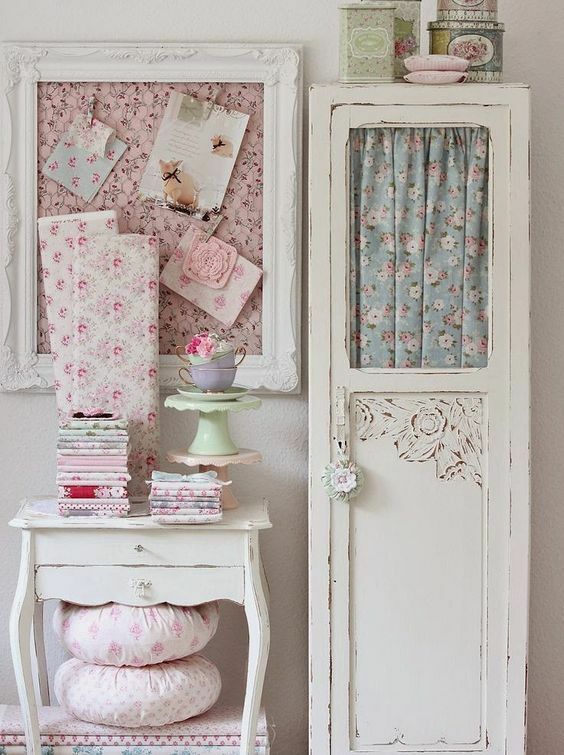 Shabby chic style is a form of interior design where furniture and furnishings are either chosen for their appearance of age and signs of wear and tear or where new items are distressed to achieve the appearance of an antique. 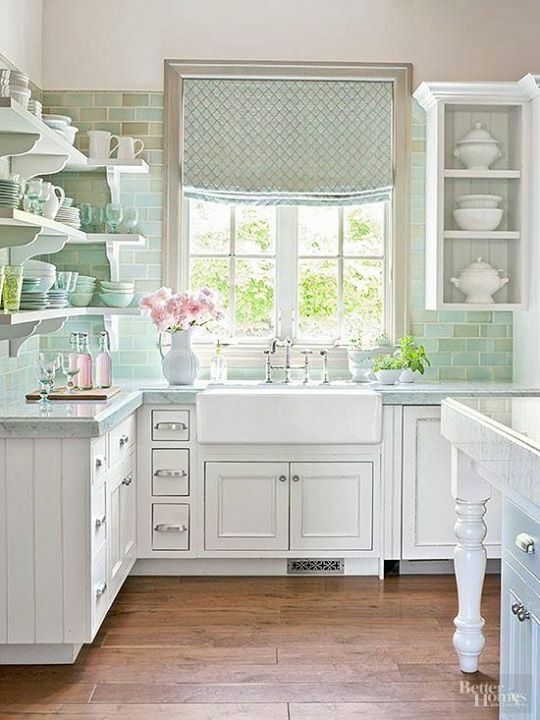 At the same time, a soft, opulent, yet cottage-style decor, often with an affected feel is emphasized to differentiate it from genuine period decor. 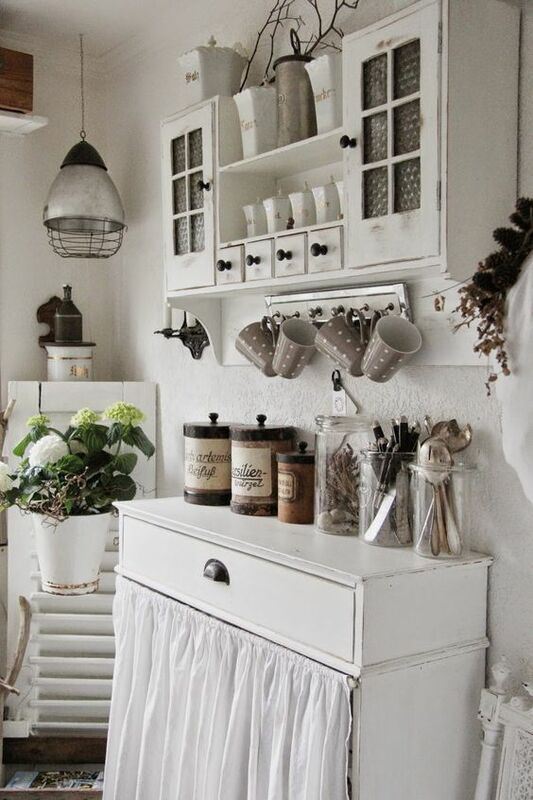 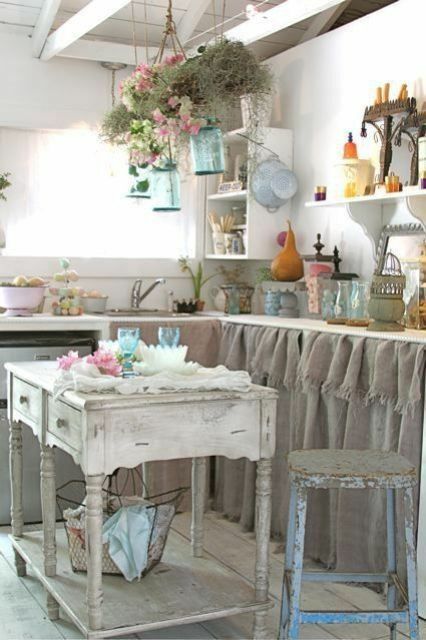 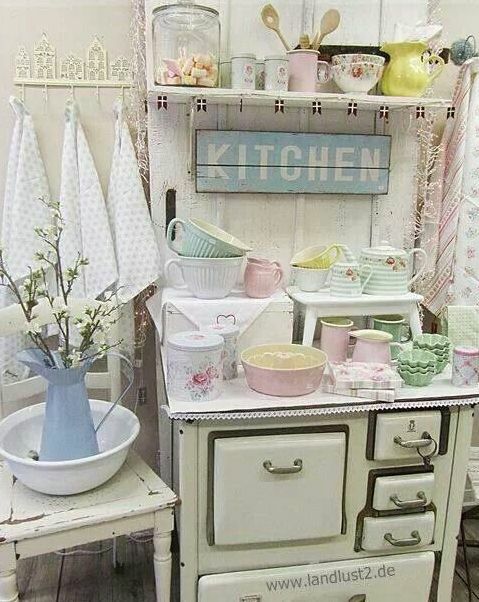 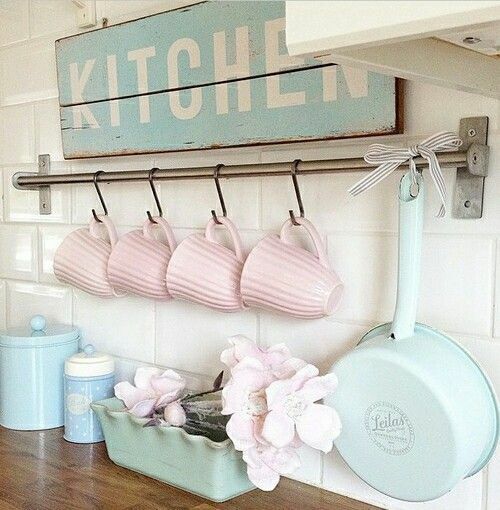 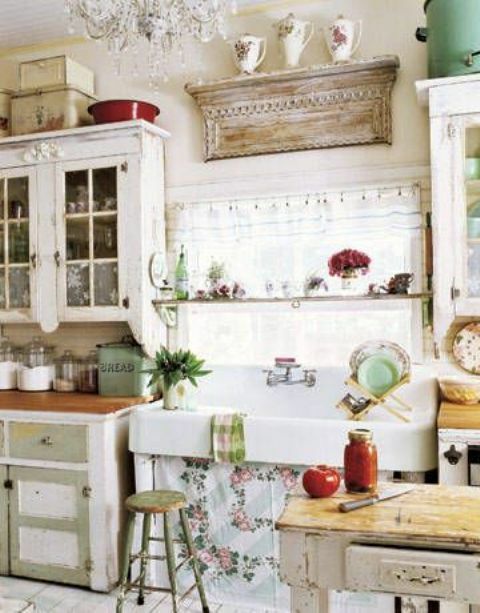 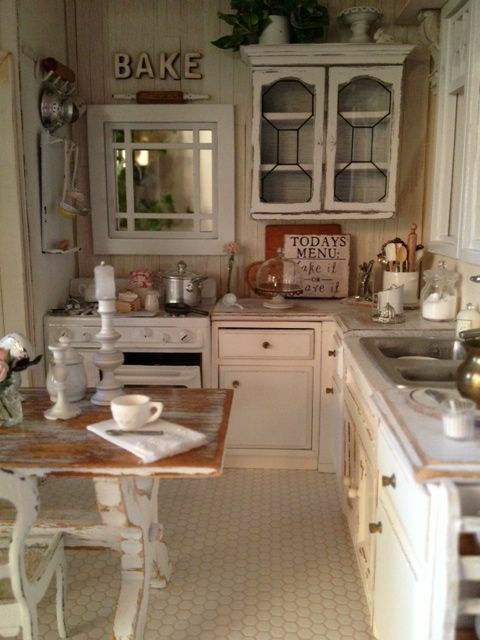 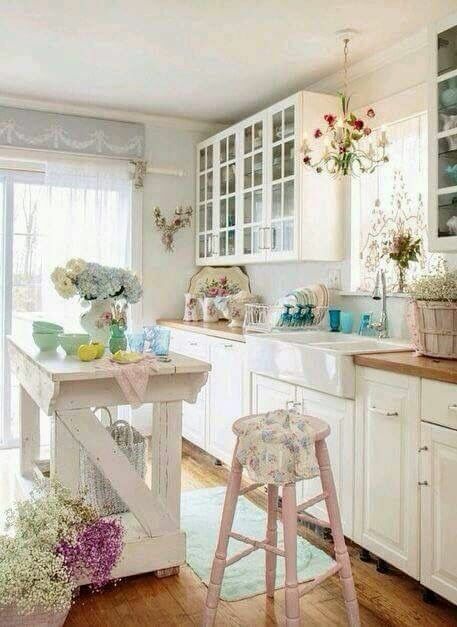 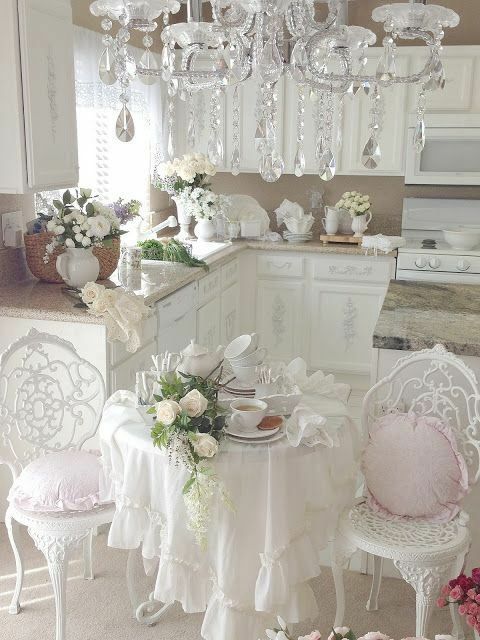 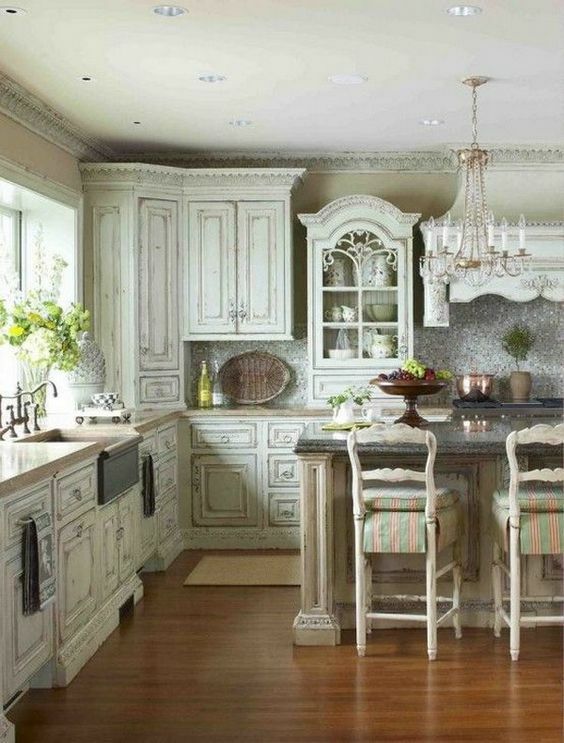 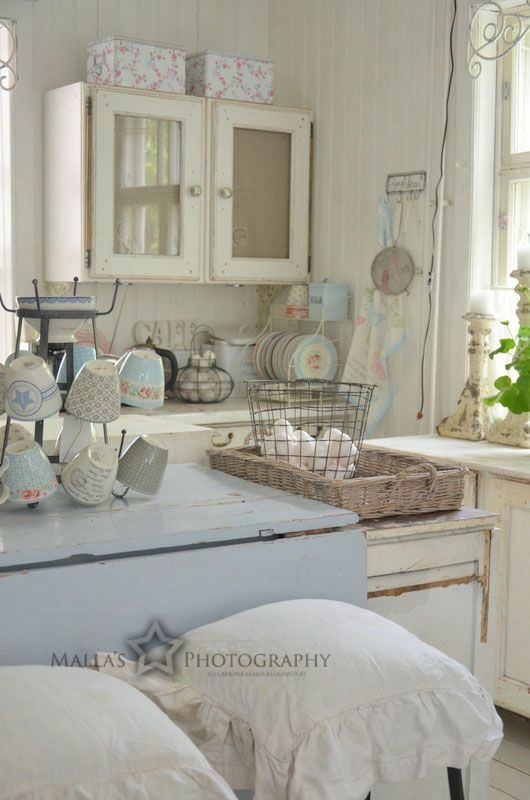 Shabby chic usually means white, whitewashed and pastel or vintage floral motifs, choose from them or mix them up. 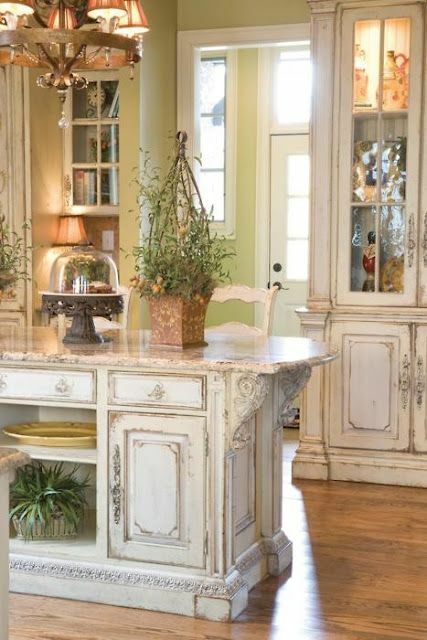 The style is imitated in faux painting using glaze or by painting then rubbing and sanding away the top coat to show the wood or base coats, known as “distressing” the finish of the furniture. 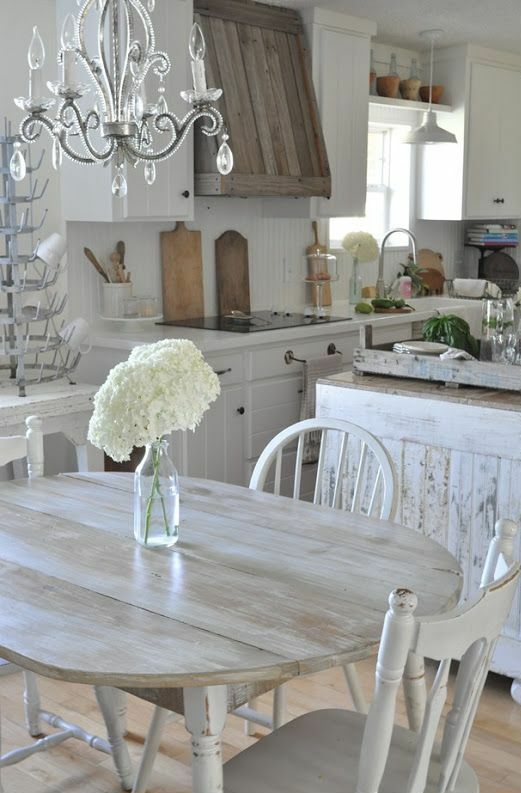 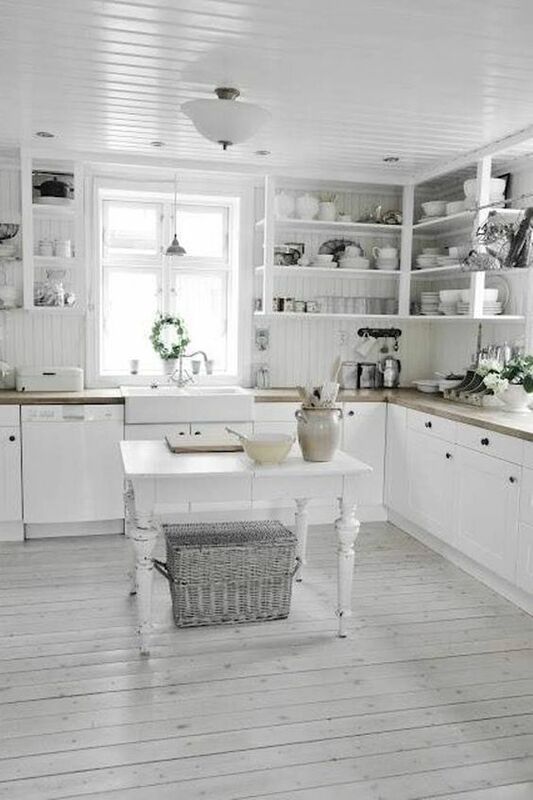 The furniture makes the style and mood for any space, and furniture for a shabby chic kitchen should be whitewashed or pastel and distressed. 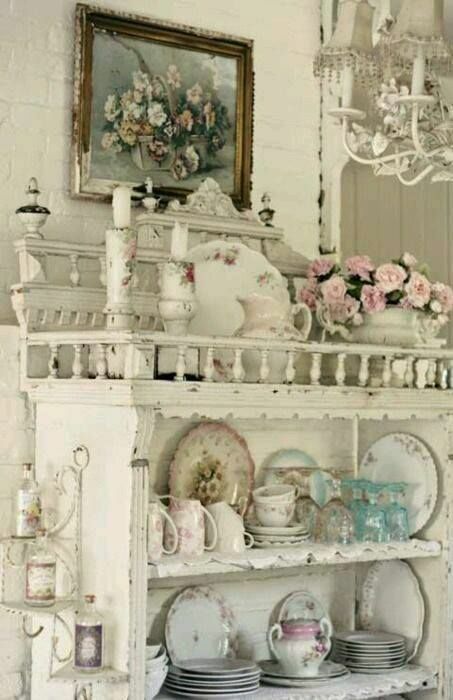 Elaborate furniture appliques depicting flower swags and garlands, cherubs, and other motifs may be added. 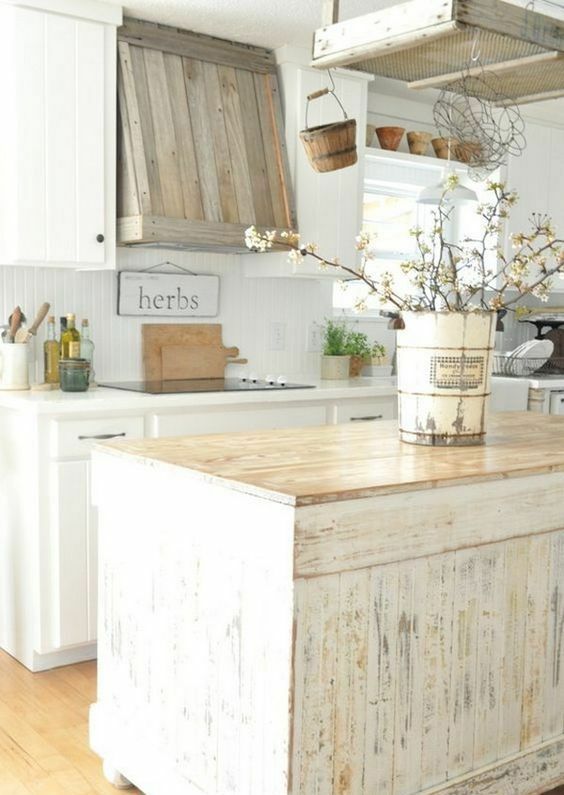 Rustic touches like reclaimed wooden hoods or countertops can be a nice and cozy addition. 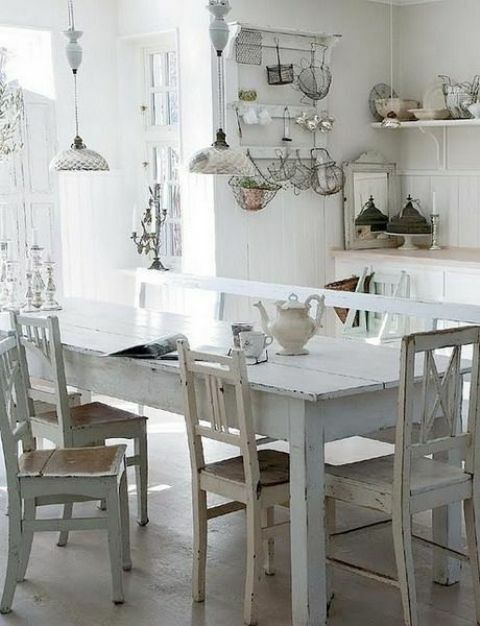 Tableware, rockery, plates and cups are a part of every kitchen décor, and they can help to set up the mood. 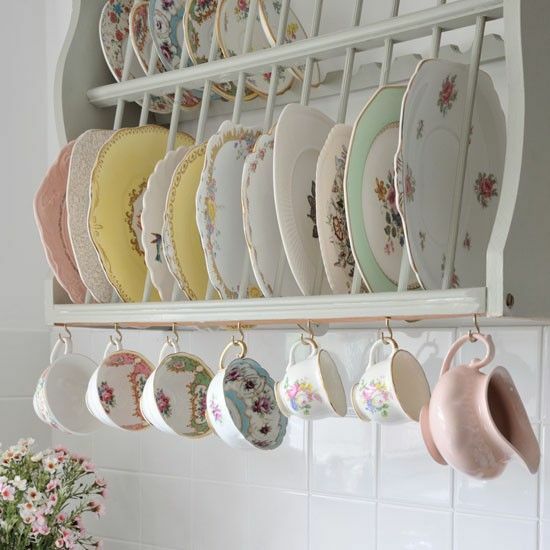 Choose vintage ones, with floral motifs and in cool sweet pastel shades, or just some vintage white porcelain and other stuff. 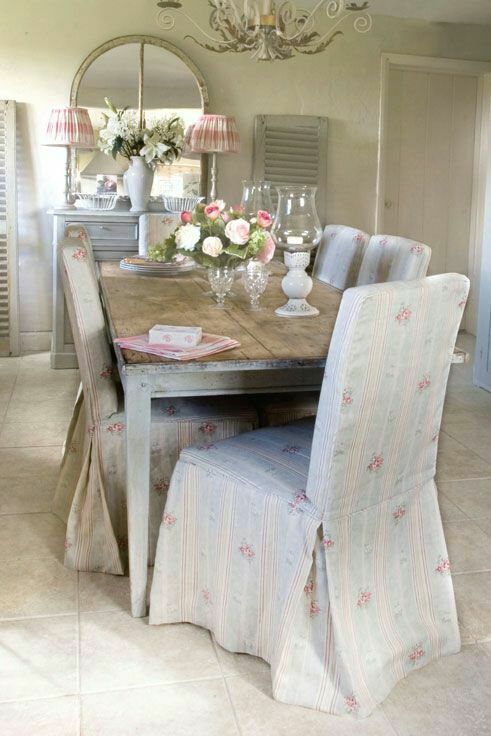 Fabrics – curtains, rugs, tablecloths and napkins – tend to be cottons and linens, with linen being particularly popular, inspired by old French linens. 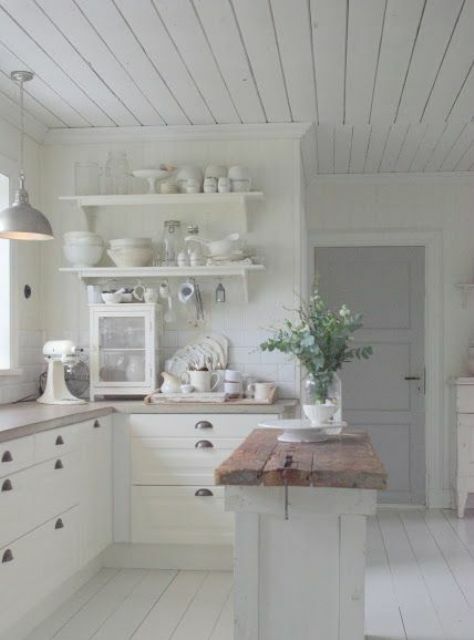 Pure whites or worn or bleached out pastel colors are favorites. 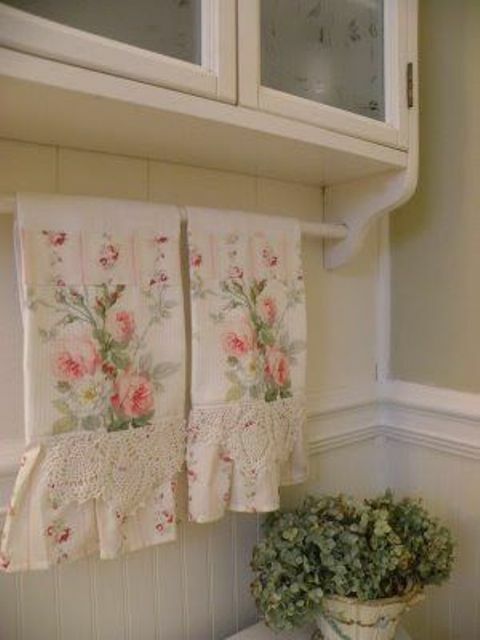 Fabric is often stained with tea to give it the look of old fabric. 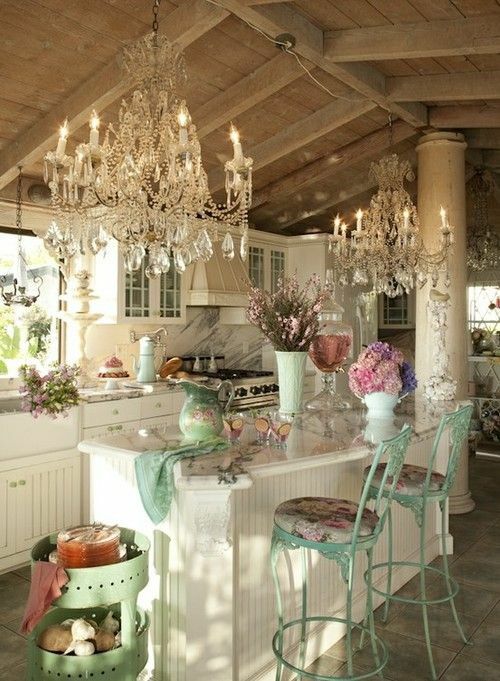 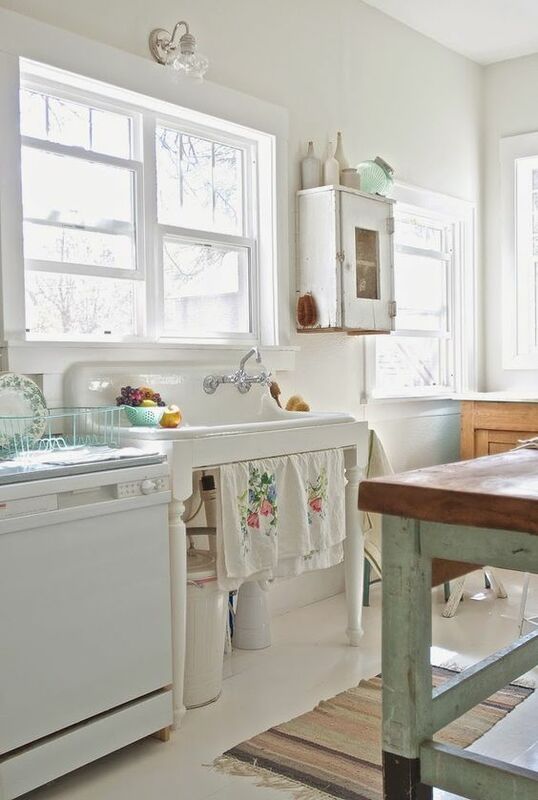 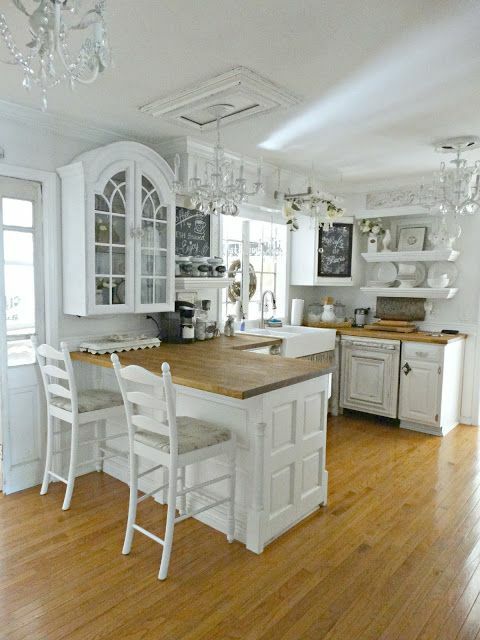 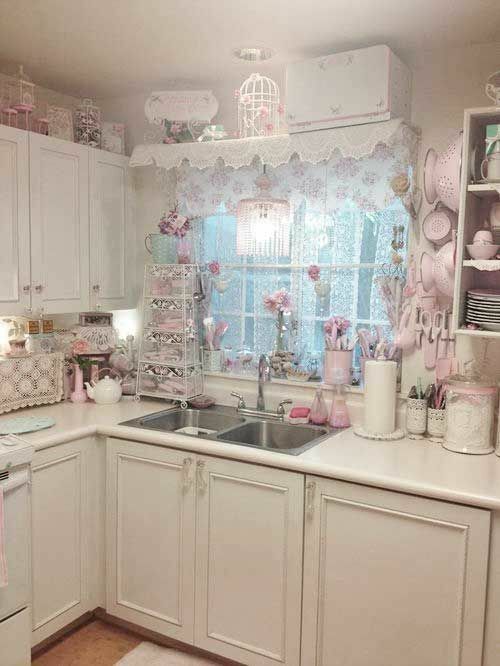 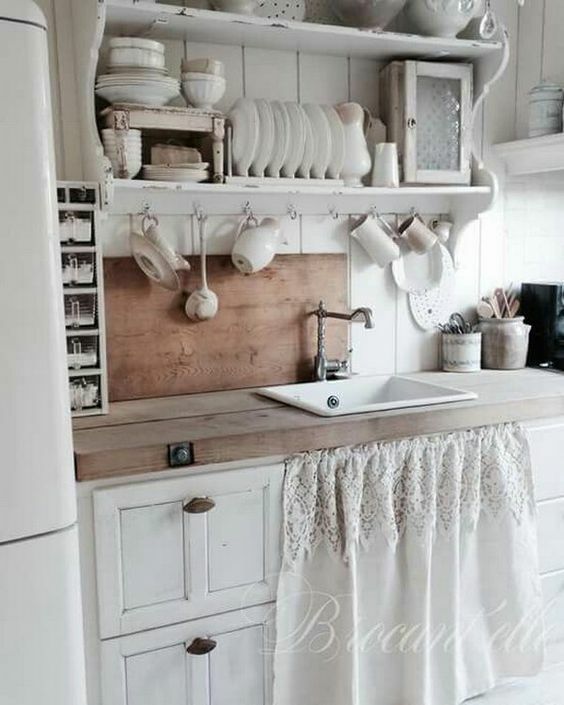 To give your shabby chic kitchen a light Provence feel, go for less distressing and more refined pieces like a vintage crystal chandelier or ruffled and lace textiles. 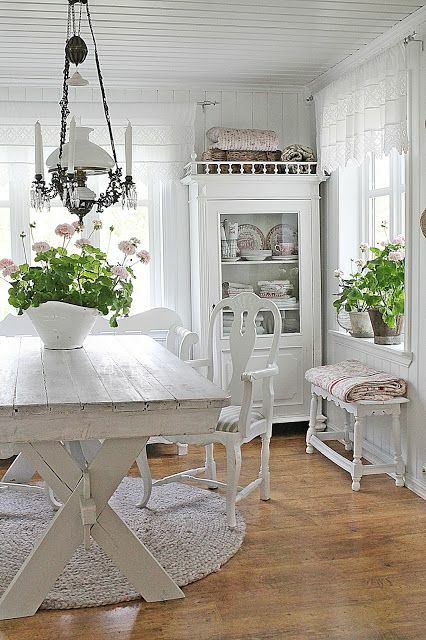 To add some coziness try rustic details like rustic textiles or rustic unfinished wood. 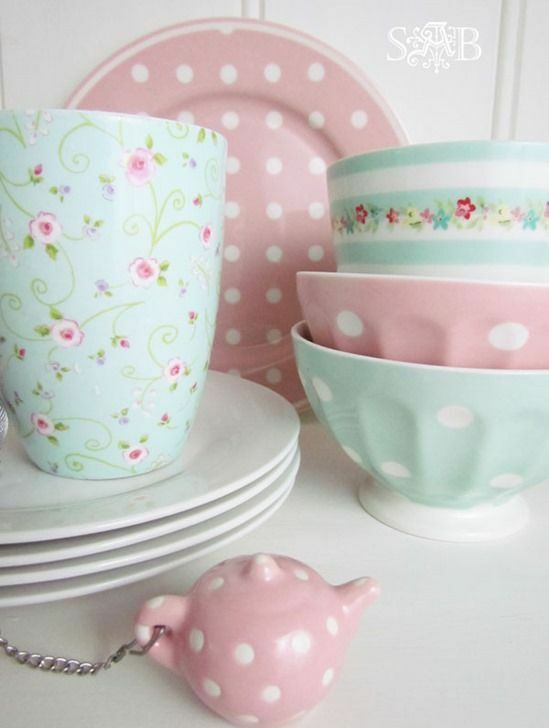 Get more of these lovelies below! 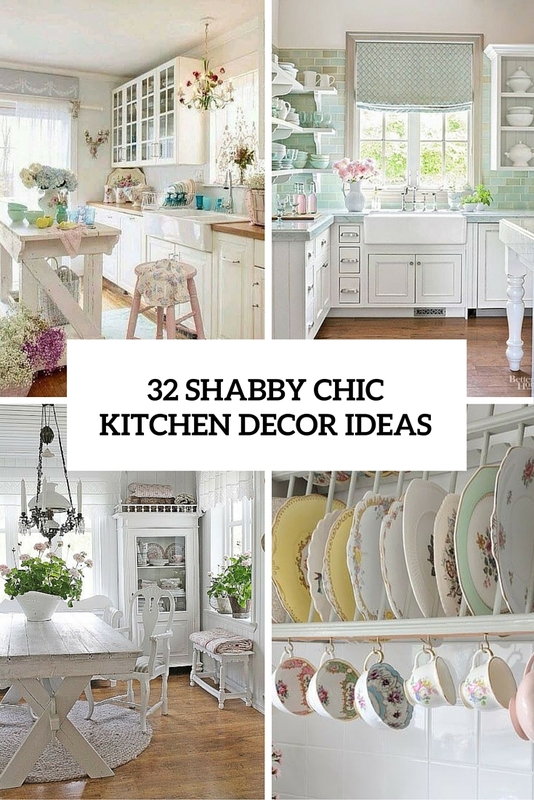 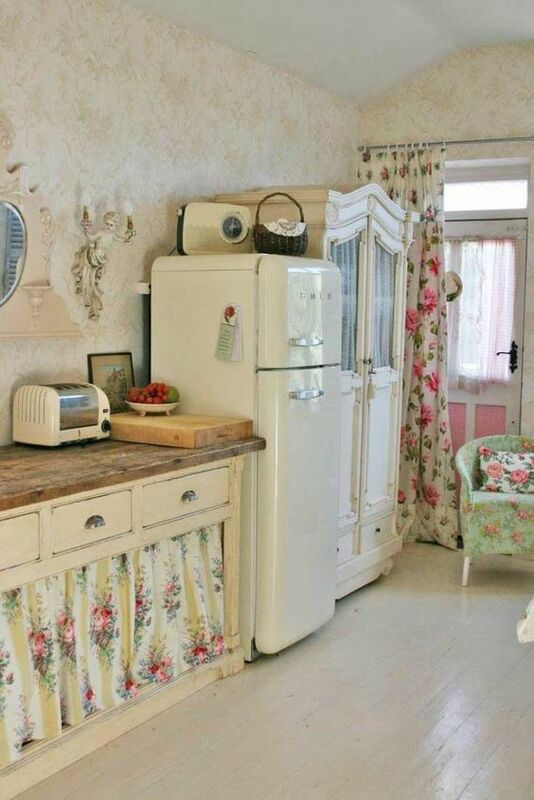 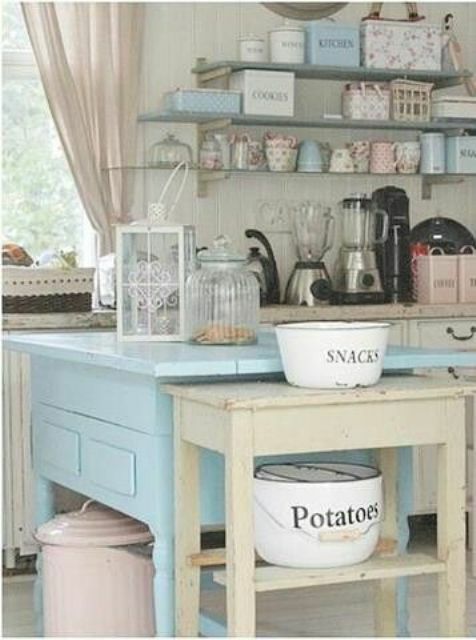 Btw, we have one more amazing shabby chic decorating ideas roundup for you.